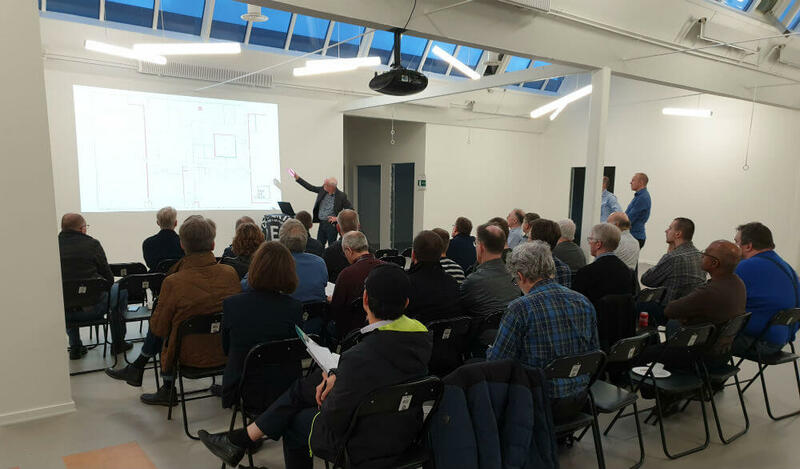 There was a really good atmosphere when the newly accredited test laboratory in Struer was presented during the business visits organized by EKTOS and the engineering Association, IDA E, on Thursday the 7th of February. The mood was especially good that day, because we received the great news from DANAK that the test laboratory in Struer has now been certified to make accredited EMC tests. At the presentation of the test laboratory, which was previously owned by B&O, the management of EKTOS presented for instance the history of the EKTOS group and the test engineers showed the engine room where EMC tests and climatic tests are performed. In addition to that, the evening offered insights into the tension field between customer and authority requirements. Peter Petersen, director of Sound Hub Denmark, who is being established in the same building, told about their visions of creating a sound technological innovation hub. It was a pleasure to be able to welcome both new and familiar faces. Several of the visitors had their daily work in the building during the B&O period. They were interested in seeing the place again and learning about what EKTOS and Sound Hub Denmark are now using their previous workplace for. We have received a lot of positive feedback from the visitors, and we have already got two test agreements in place because of the visits. We love to welcome visitors, so this will not be the last time we invite new and old friends for a visit! We hope to see you next time.